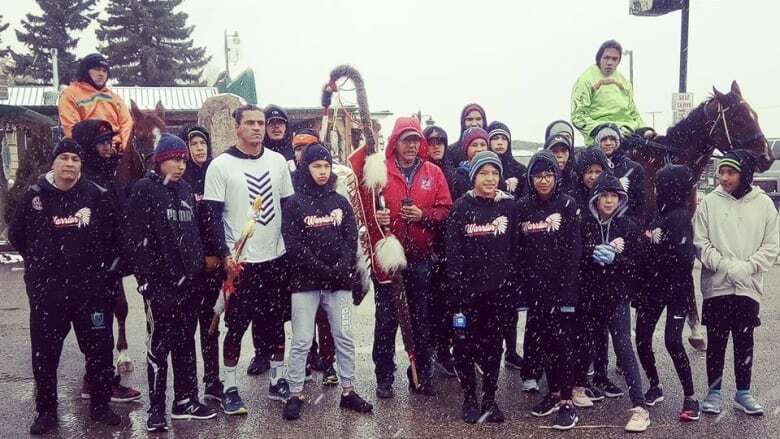 Young people and horsemen from the Mistawasis First Nation covered some 120 kilometres from their home community to the new bridge in Saskatoon in a sacred lance run. 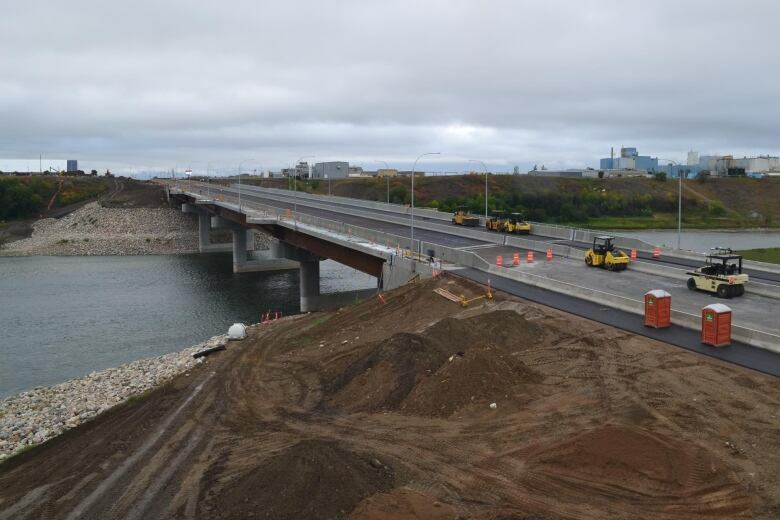 Saskatoon's new Chief Mistawasis Bridge will carry a heavy load. "We still have a lot of inequities…this bridge basically symbolizes that fact, and that opportunity that we as human being have that responsibility to start working collectively for the betterment of our younger people and children yet to come," said Daryl Watson, chief of the Mistawasis First Nation, said on CBC Radio's Saskatoon Morning. "It doesn't matter the colour of your skin, we all bleed red and we all have the responsibility to unite and come together." Watson's community did not take its role in Tuesday's ceremonies lightly. A group of young people, accompanied by horsemen, covered some 120 kilometres from their home to the site of the new bridge in a sacred lance run. "It's a healing journey," Watson explained. "Our flags are basically our lances." "It's the ability for us to connect with the Creator and have the guidance to ensure that this traffic bridge is a symbol of peace and friendship and a sign of true reconciliation." "His main concern was education and the fact that things were changing," said Watson. It's a lot for daily commuters to keep in mind as they cross the new span, but Watson hopes that drivers will pause to think about reconciliation and future shared prosperity. He said his community completed the traditional lance run to the new bridge to promote s vision of unity. It wasn't a simple gesture, or for show, Watson promised. "It's all about personal pride and good prayers for family and for community and the individual."